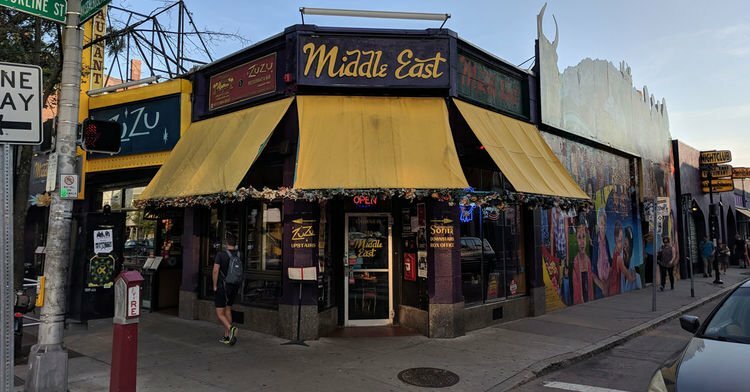 The Middle East opened as a Lebanese restaurant in 1970 and the Sater brothers bought it five years later, in 1975, and then remodeled it into a store front at 472 Mass Ave. They maintained the ethnic food and also had Arab language bands and belly dancers to compliment the atmosphere. In the 1980’s they began to book blues and jazz bands and the first rock show was performed by a solo Roger Miller of Mission Of Burma fame in 1987. In 1988, the club again expanded and the bakery on the corner of Brookline Street and Mass Ave was changed into a restaurant and bar now known as The Corner Bakery, with a little stage set against a large window facing Mass Ave. Small local bands and acoustic artists, comedians, d.j’s and belly dancers perform there to this day. 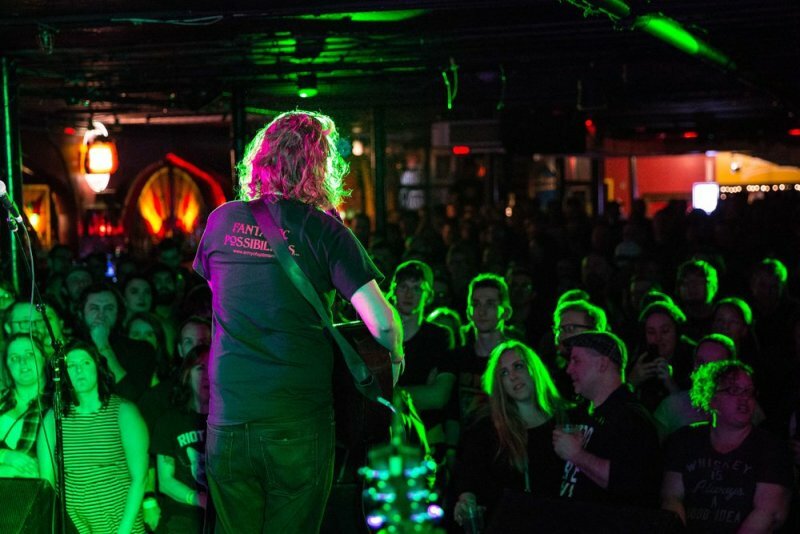 In 1993, to create a larger space for bigger bands and national acts, the basement of the building, once a bowling alley, was converted into a music venue with a stage and bar. During the construction, an unknown and unexpected underground spring was discovered delaying their grand opening for two weeks. In the middle of Cambridge, no less! Now known as The Middle East Downstairs, the upstairs Corner Bakery serves as an entrance waiting area and box office for ticket sales to the lower area. 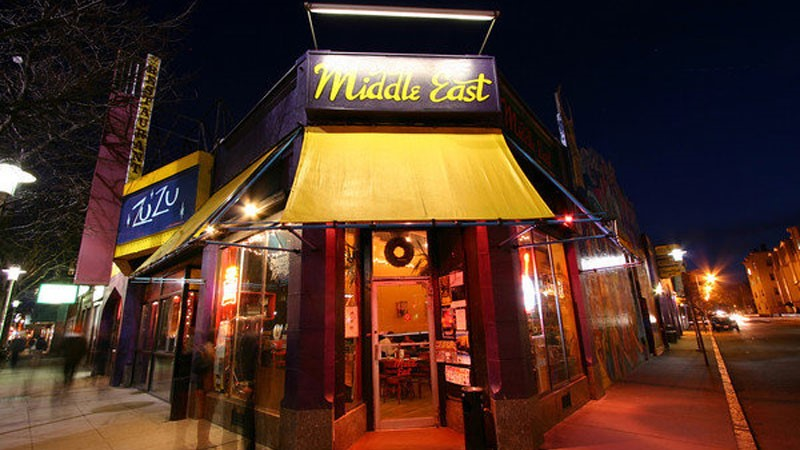 During the early ’90’s The Middle East became a central and instrumental part of the whole music scene and culture as Central Square began to take over as the best and most important part of the local music scene in terms of spotting new talent and finding places to play or to listen. upstairs front and the Corner Bakery which was an Indian Restaurant at the time. is now an upscale restaurant with live music and d.j.’s several times a week. 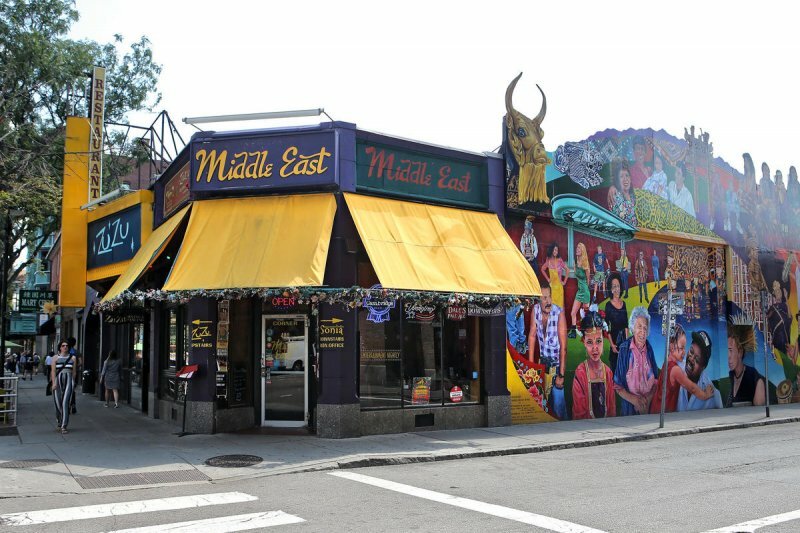 Throughout the years, the Middle East has been called: “reigning supreme as Boston’s best rock/and or roll joint” by The Weekly Dig, “the city’s hippest night spot” by The Boston Globe, and “the exalted Middle East” by Rolling Stone ; and today the club still delivers diversity with jazz, blues, funk, reggae, ska pop and hip hop bands. In fact, along with its current first rate national Indie music reputation, current hip hop artists Mr. Lif, 7L & Esoteric, OuterSpace, Los Nativos, Jedi Mind Tricks, Killah Priest, Irepress, Masta Killah and Jake The Snake perform there regularly. *The Mighty Mighty Bosstones– ‘Live From The Middle East’ – released October 20, 1988. At The Middle East’- released February 22, 2002. At The Middle East’- released April 2, 2004. 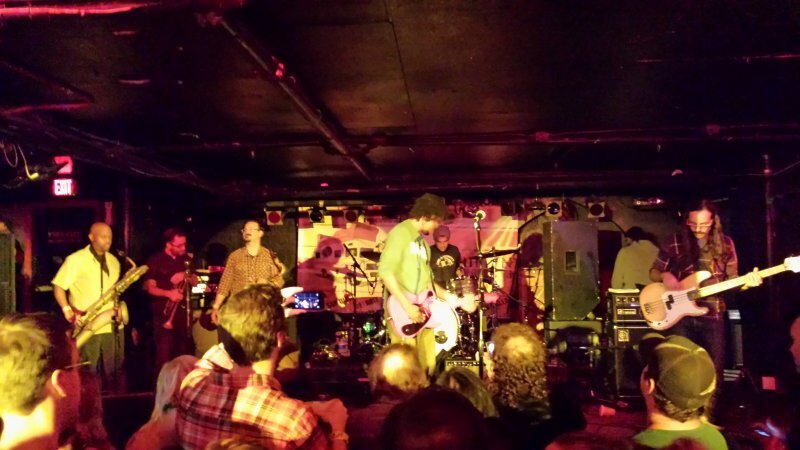 * Dinosaur Jr.– ‘Live At The Middle East’ DVD- recorded live December 4, 2005. ‘Live At The Yule Ball’ EP- recorded live December 21, 2008.